Tokyo Children’s Garden is an innovative international preschool for 2–6 year olds in central Tokyo. At Tokyo Children's Garden we adopt a multi-teacher approach so we can understand each child's unique learning style and abilities, thereby providing the best learning environment for each child. With a maximum of eighteen children, our communication with parents is personal and in-depth. As our five teachers know every child, parents have peace of mind that they can speak to any teacher about their child's day. Everything in Tokyo Children's Garden's spacious classroom is at child level, creating a learning space that is inviting and comfortable. “With the speed of innovation today, we no longer know what skills our children will need for their future success. That is why children need teachers’ support to develop fundamental skills such as critical thinking, problem solving, and communication. At Tokyo Children’s Garden, we use a contemporary child-centered approach that sparks our students’ imagination and sets them on the path to be independent, life-long learners. From our backgrounds in education and research, we know the key to a great school is its teachers. Rather than each child being taught by only one teacher, we have adopted a collaborative approach; our five teachers support all eighteen students at the same time. Teachers support each other to teach in the best way possible for each child and really get to know their unique needs and abilities. Our goal is not a successful school; we are determined to create the best school. Teacher training and an educational hub are equally important and connected parts of the base on which learning is built. By having a strong foundation and continuing to develop our work in these two fields, we aim to increase the level of learning of our students. Through our multi-teacher environment, teachers gain ongoing professional development from their experienced peers. They receive support on encouraging positive behaviour, handling difficult situations and, most important, recognizing and understanding each child’s unique needs and how to best cater to them. By interacting with all the students throughout the day, our teachers gain a range of perspectives on each one’s unique needs and abilities, fostering better understanding of the teaching approach that each child needs. Our goal is to deliver the best preschool for our students and their parents. We believe that early years education is not only about supporting children to develop skills but also about encouraging confidence, compassion, and respect. Through our education and academic research, we know that children learn in different ways, including verbally, visually, or musically. We are inspired by the Reggio Emilia approach, drawing on its child-centered, inquiry-based learning style. We aim to give our students a great start in their lifelong learning. We enable children to realize their passions by helping them find what interests them. Our teachers are well versed in established research and keep up to date with current and cutting-edge developments in the field. At our extensive range of workshops, our teachers—and those from other schools—learn from leading domestic and international experts on topics such as bilingualism and how play positively influences future academic success. We extend an open invitation because our aim is to create a supportive hub. Our co-founder and director, Hisao Ihara, is also director of the Association of International Early Childhood Education, a leading organization in providing best practice examples. "When we went to see Tokyo Children’s Garden before it opened, we liked everything about it: the founders’ and teachers’ way of thinking; the small number of students; and the fabulous space..."
"At the moment my daughter attends a local Japanese preschool three days a week and goes to Tokyo Children’s Garden two days a week..."
"My daughter is really sprouting since joining Tokyo Children’s Garden just over two months ago. 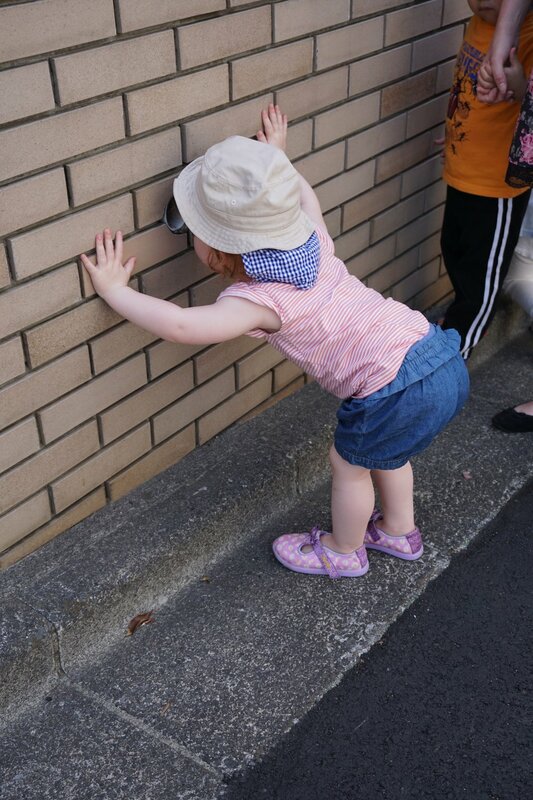 It’s the first time she’s been out of the home at preschool and is enjoying every minute..."
"My husband and I looked at a number of international schools for our son in Kyoto and Tokyo. At lots of them, he wouldn’t even enter the classroom.."
"It’s only been two months since our son joined Tokyo Children’s Garden but his development since then has been so fast..."
At Tokyo Children’s Garden, we care so much about preschool education that we not only support the ongoing training of our teachers but also teachers from across Japan. We host an extensive range of workshops to help teachers provide the very best early years education. To date we have led workshops on bilingual education, language learning and brain development, and Reggio Emilia’s child-centered approach to education. Delivered by experts in their respective fields, the workshops have attracted 100 teachers so far based in and around Tokyo. We aim to provide a model of best practice, to drive the development of other innovative, child-centered education programs in Japan. We believe that parents are central to their children’s development and attitude to education. By providing informative sessions where parents can find out more about the latest research in early years education, we hope they can help support their children to achieve their unique, beautiful potential. 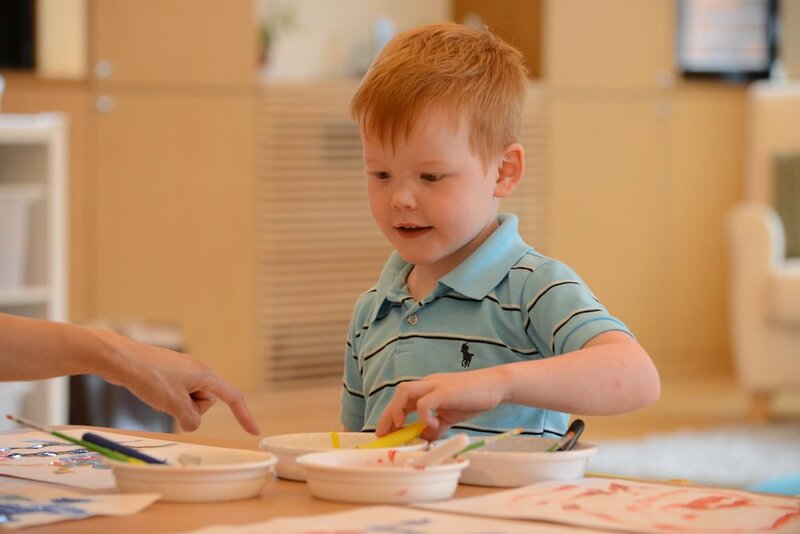 Our fun, play-focused parent and child workshops feature art, drama, and storytelling, to spark children’s imagination and provide ideas for activities that families can enjoy together. Tokyo Children’s Garden hosts weekend workshops for parents and teachers. Prospective parents are invited to meet Hisao and Ann, the founders of Tokyo Children’s Garden to learn about our school philosophy and our educational approach. The talk will also cover current research on brain development, play, and future academic success. Come and learn how we offer an educational experience without equal and are changing the landscape of early childhood education. Hisao and Ann have almost 30 years of combined experience in early childhood education in both Japanese and international school settings. Opened in April 2017, Tokyo Children’s Garden is accepting students on an inquiry-based, multi-age, bilingual program, designed to develop confident and caring individuals with a love of learning. We create a balanced international environment with Japanese and non-Japanese students from all age groups so, with only eighteen places in total, please inquire early to avoid disappointment. The Expat’s Guide to Japan visited us in June to find out how our personalized approach to preschool education can benefit children and parents. The Japan Times joined our weekend drama workshop in May, designed to boost children’s development through imaginative play.